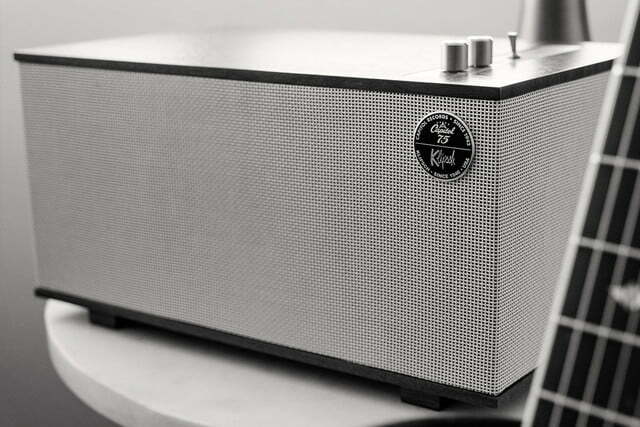 Tech-driven audio company Klipsch has paired up with Capitol Records to launch the absolutely stunning special edition Heritage speaker line, a gorgeous group of devices that includes two Bluetooth speakers and a set of wired three-way floor-standers. As with other Heritage gear, such as Klipsch’s Heritage HP-3 headphones, the speakers are meant to celebrate the fact that the company has been in business for over seven decades, showcasing beautiful vintage design alongside cutting-edge audio technology. All three speakers feature luxury materials like wood veneer and gunmetal switches and knobs, borrowing their aesthetic from classic mid-century modern design, but still utilizing modern audio technologies for playback. Each model in the new line can be had in two finish options: Blonde with a tan woven grille cloth, or ebony with salt and pepper cloth. 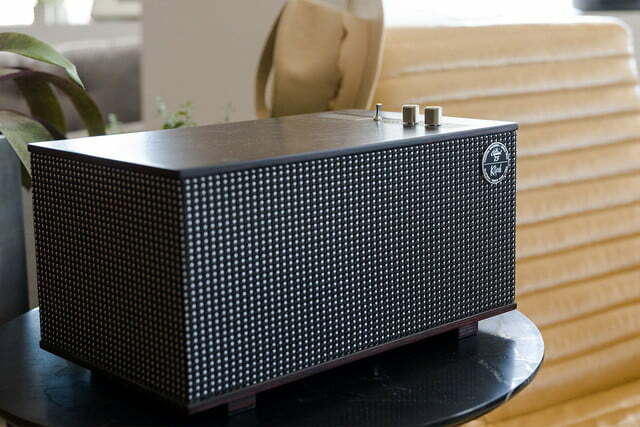 The most affordable of the new Heritage line is the Capitol One speaker, a semiportable tabletop device with an eight-hour rechargeable battery and Bluetooth. The Capitol One features analog inputs for smartphone, computer, or CD players, and uses two 2.25-inch, full-range drivers and a single 4.5-inch woofer for playback. The Capitol Three is a larger tabletop system that heavily resembles its little brother, but also features a phono preamp and RCA inputs for a turntable, and includes Wi-Fi connectivity that allows for Klipsch Stream Wireless multiroom integration — letting listeners stream their favorite music via the Klipsch Stream app. 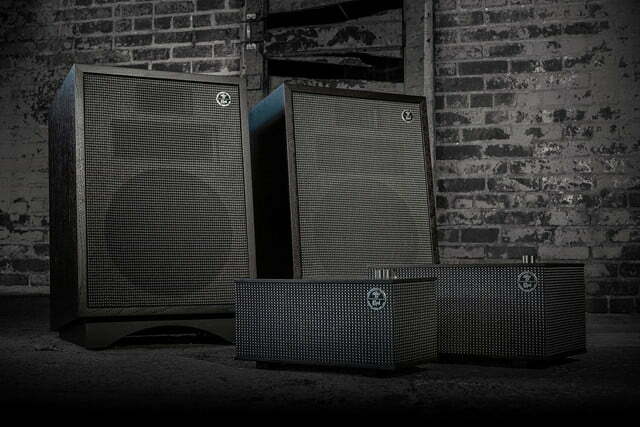 The Capitol Three employs two 2.25-inch drivers, and a 5.25-inch long-throw woofer, as well as dual passive radiators for better bass response. In addition, it offers a 24-bit digital to analog converter, allowing for high-resolution audio playback. While both the Capitol One and Capitol Three speakers are worth pining over, it’s the third generation of the Capitol Heresy speakers that will have audiophiles drooling the most. 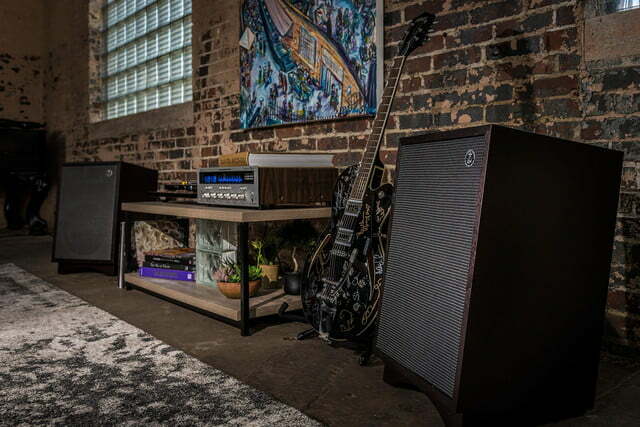 A set of compact three-way speakers with a 12-inch woofer, horn-loaded midrange driver, and a tweeter, the Heresy III speakers showcase a beautiful wood-veneer cabinet that’s handmade in Hope, Arkansas, and even signed by the craftsmen that made it. The Capitol One will retail for $400, the Capitol Three for $500, and the Heresy III for $1300 each. Not that it’s a huge incentive given the high-end price points, but those who purchase a member of the new Heritage speaker line will receive a free record from the Capitol Records catalog.